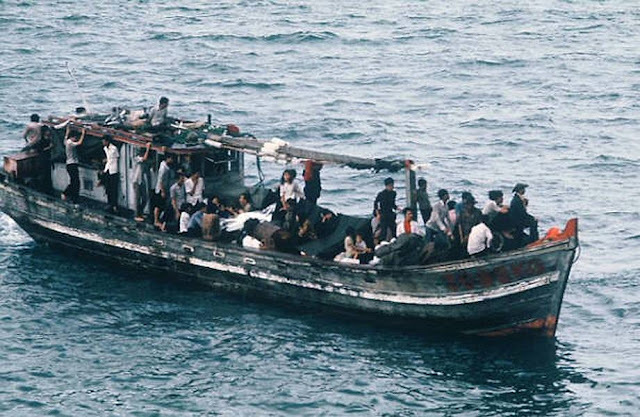 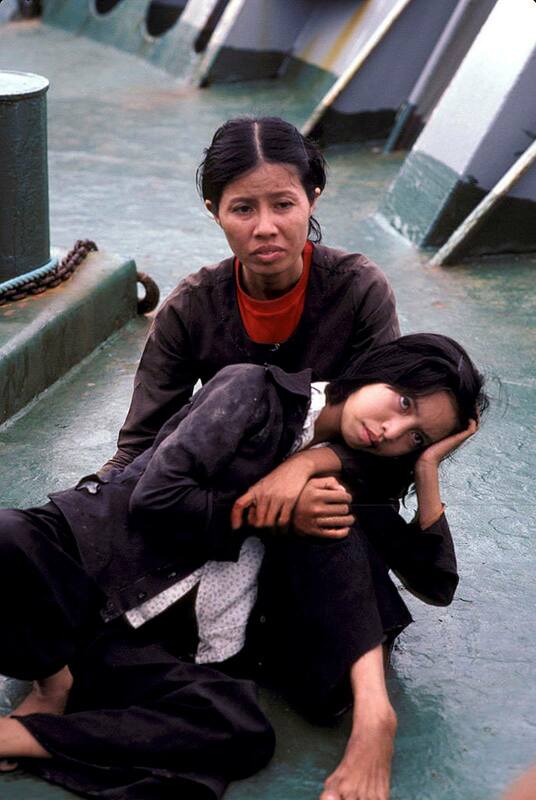 Vietnamese boat people refers to refugees who fled Vietnam by boat and ship after the Vietnam War, especially during 1978 and 1979, but continuing until the early 1990s. 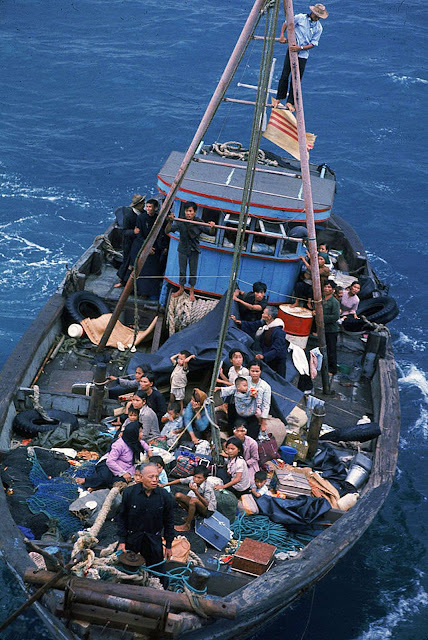 The term is also often used generically to refer to all the Vietnamese (about 2 million) who left their country by any means between 1975 and 1995 (see Indochina refugee crisis). 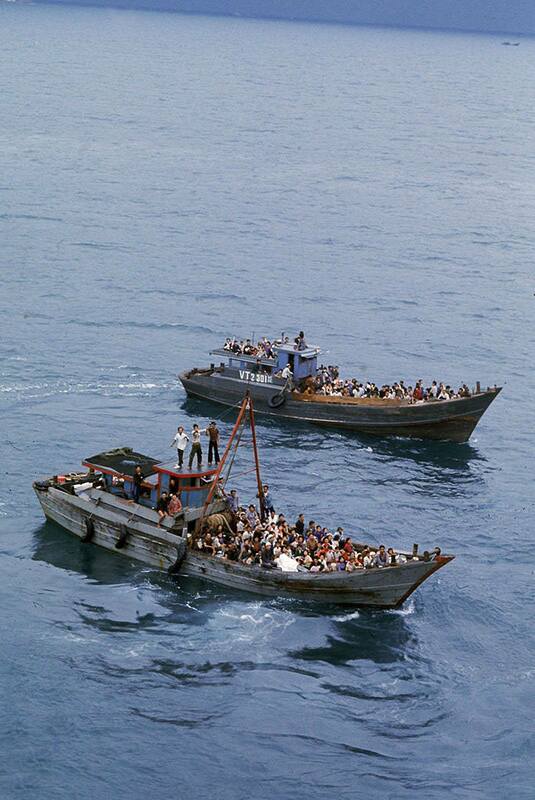 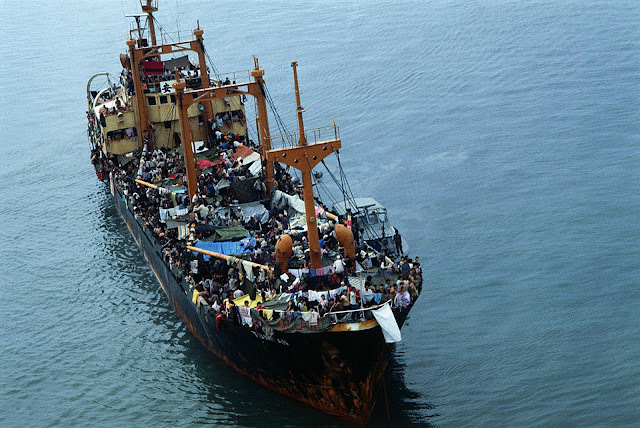 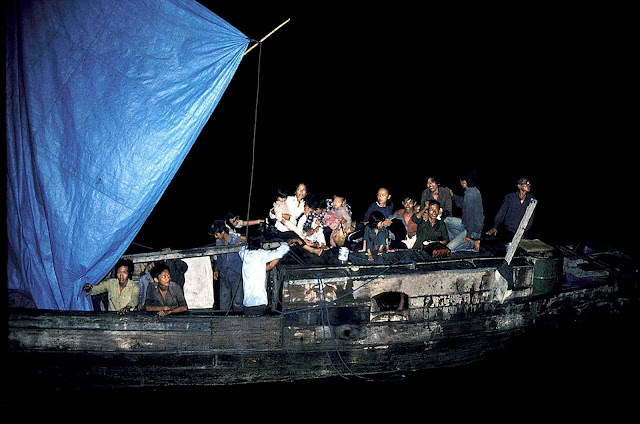 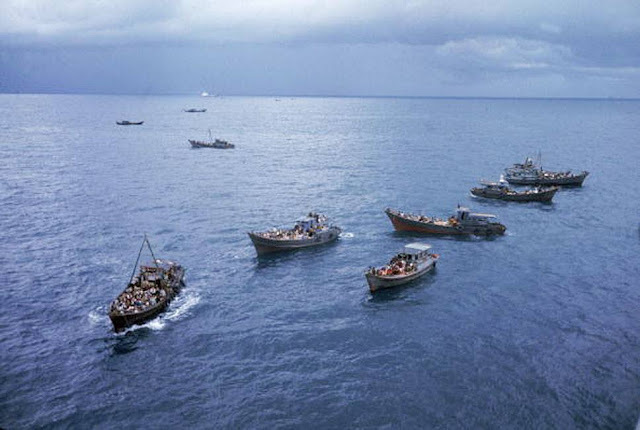 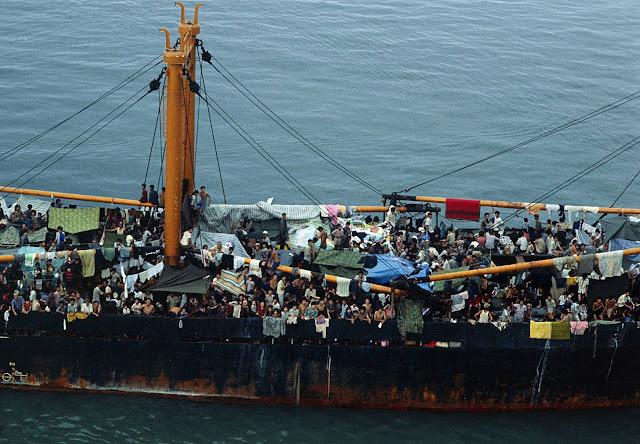 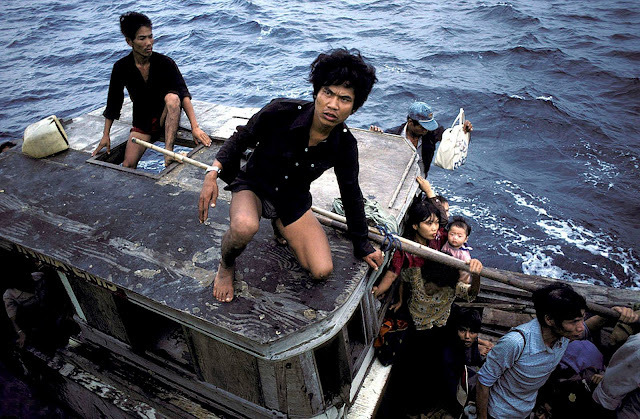 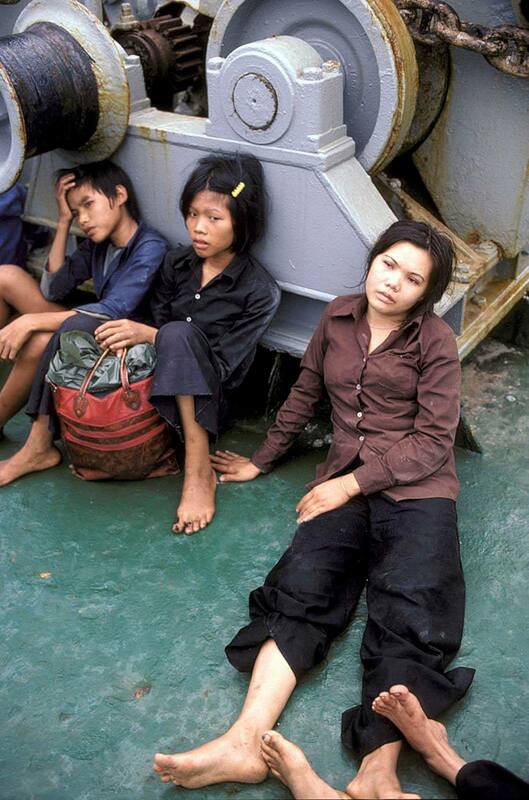 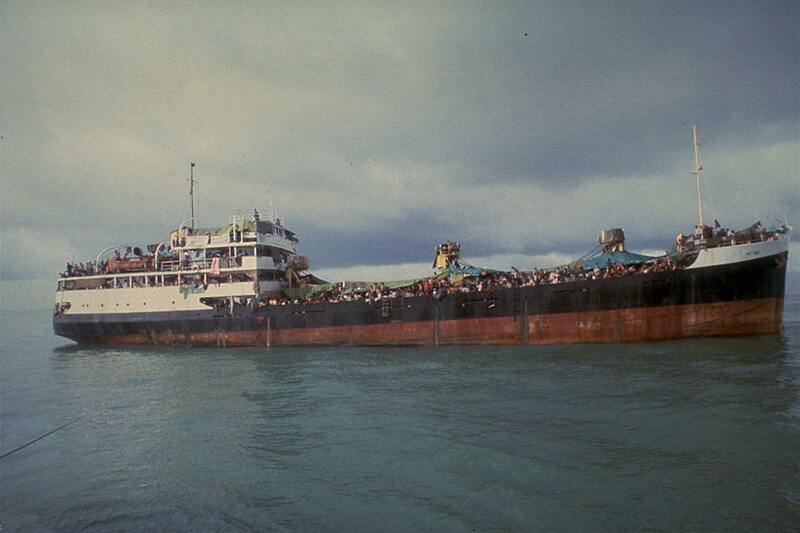 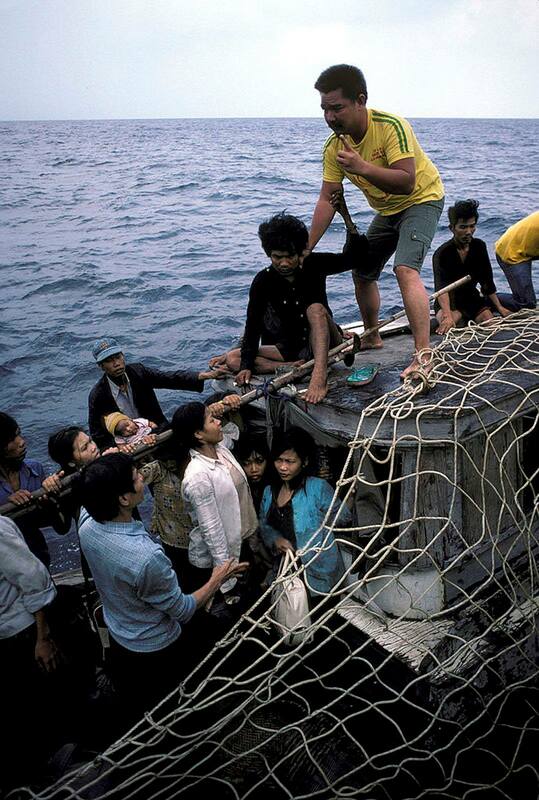 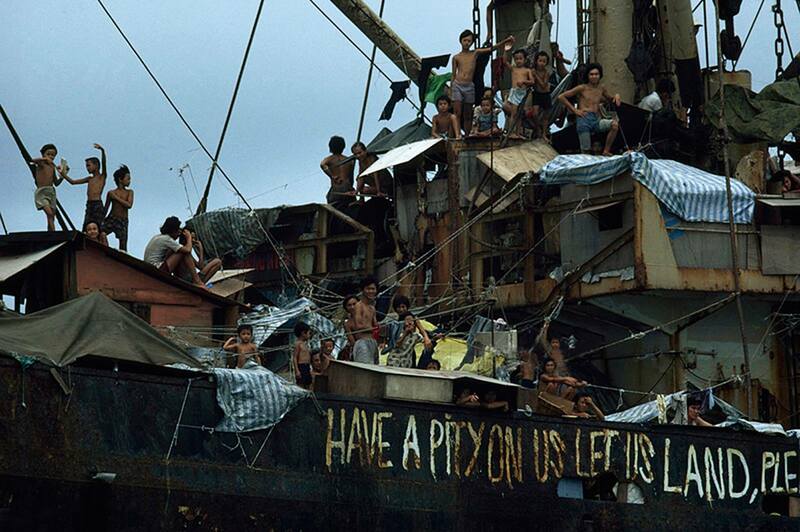 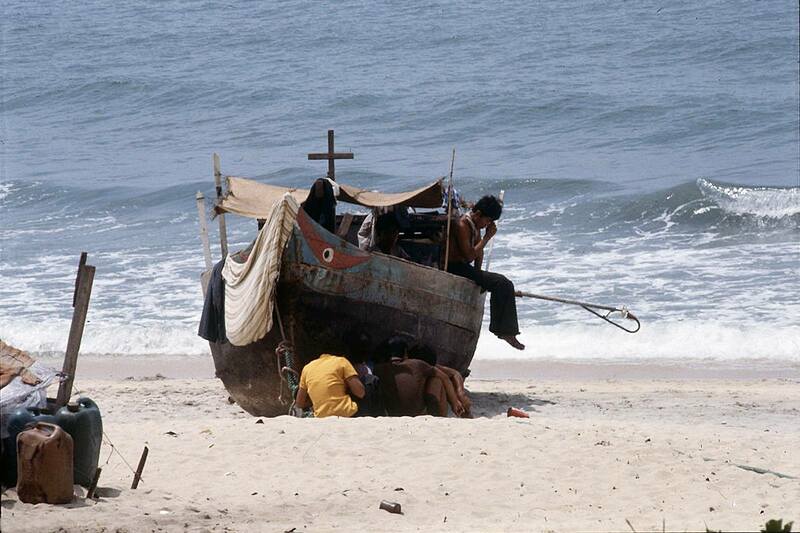 This article uses "boat people" to apply only to those who fled Vietnam by boat. 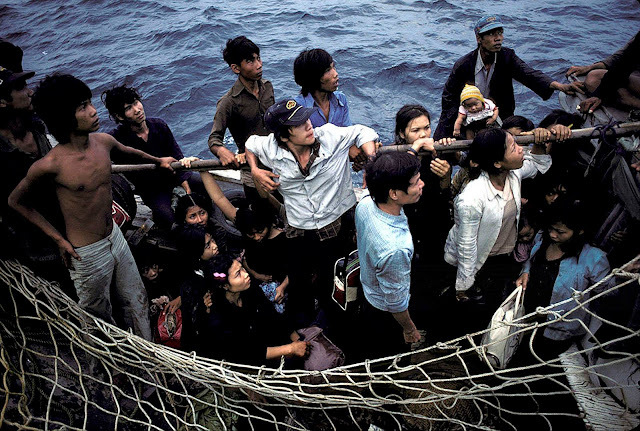 The number of boat people leaving Vietnam and arriving safely in another country totalled almost 800,000 between 1975 and 1995. Many of the refugees failed to survive the passage, facing danger from pirates, over-crowded boats, and storms. 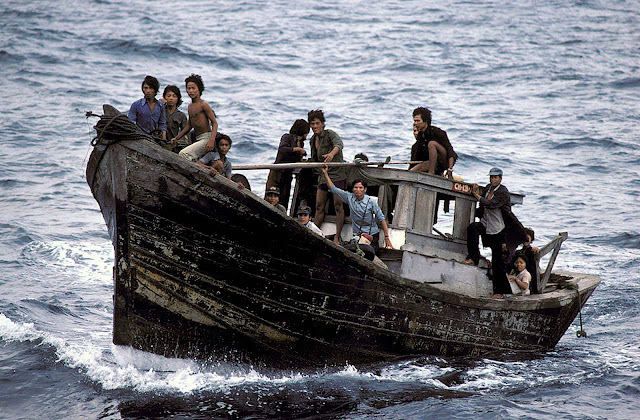 The boat people's first destinations were the Southeast Asian countries of British Hong Kong, Indonesia, Malaysia, Philippines, Singapore and Thailand. An estimated 14% of the refugees were Chinese or Sino-Vietnamese people. 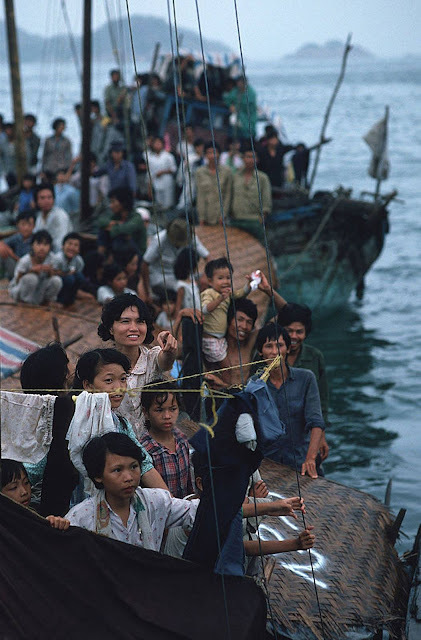 From refugee camps in Southeast Asia, the great majority of boat people were resettled in developed countries, some in the United States and most of the remainder in Australia, Canada, France, Germany, and the United Kingdom. 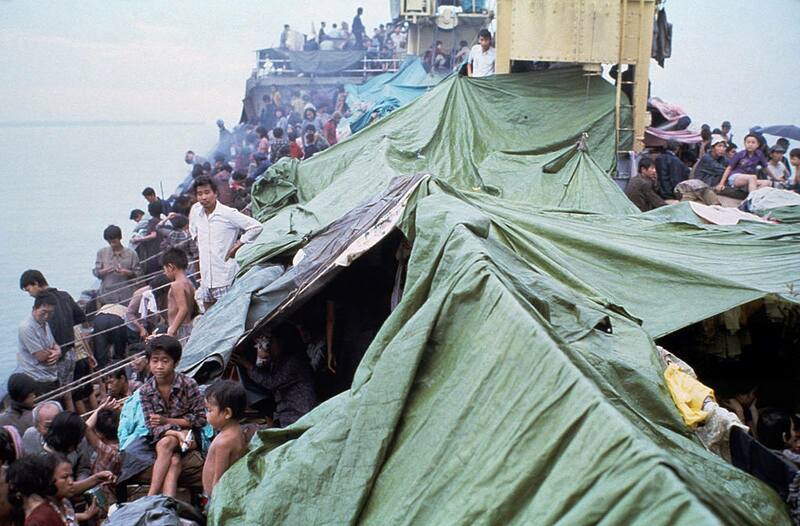 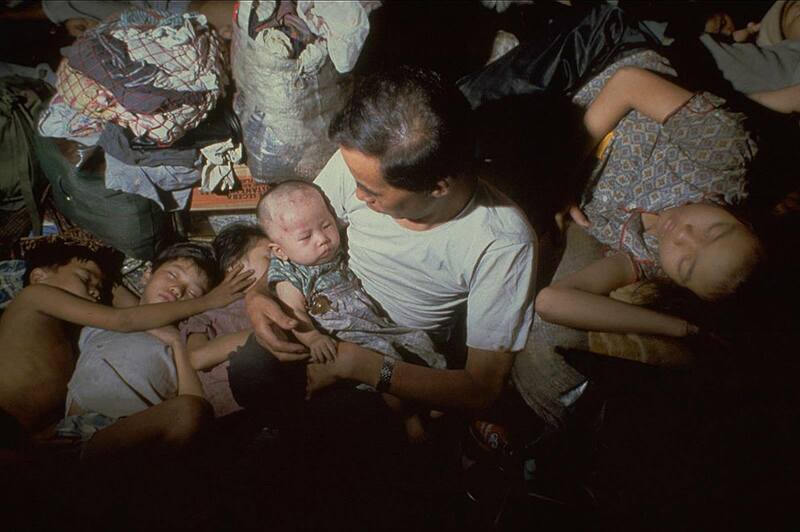 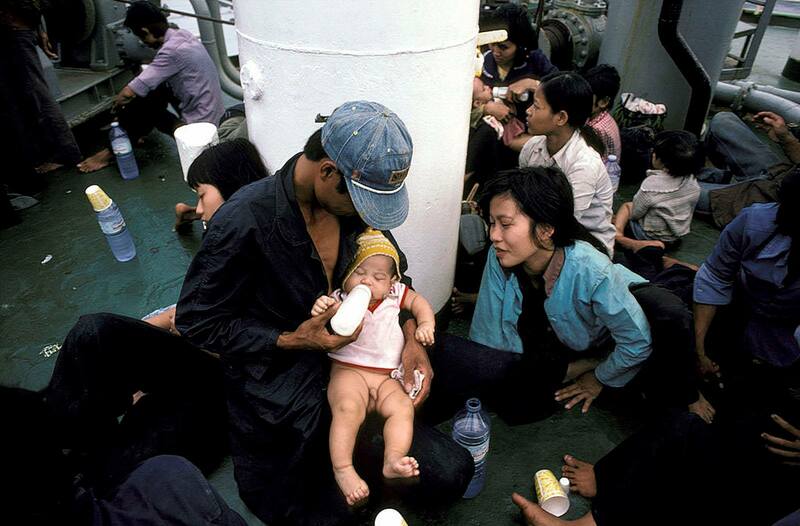 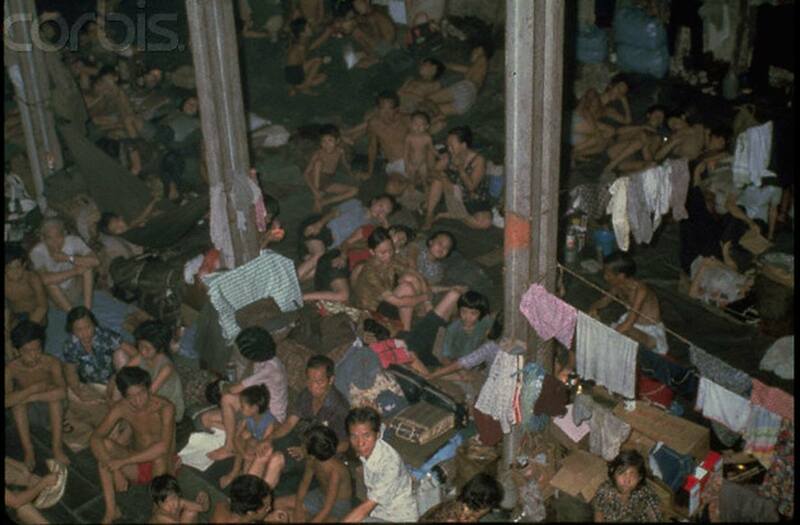 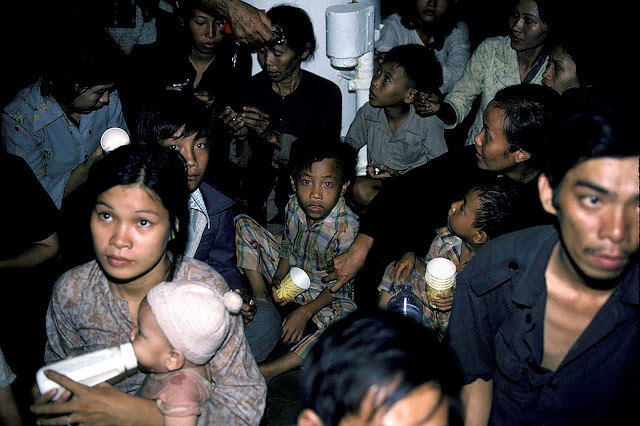 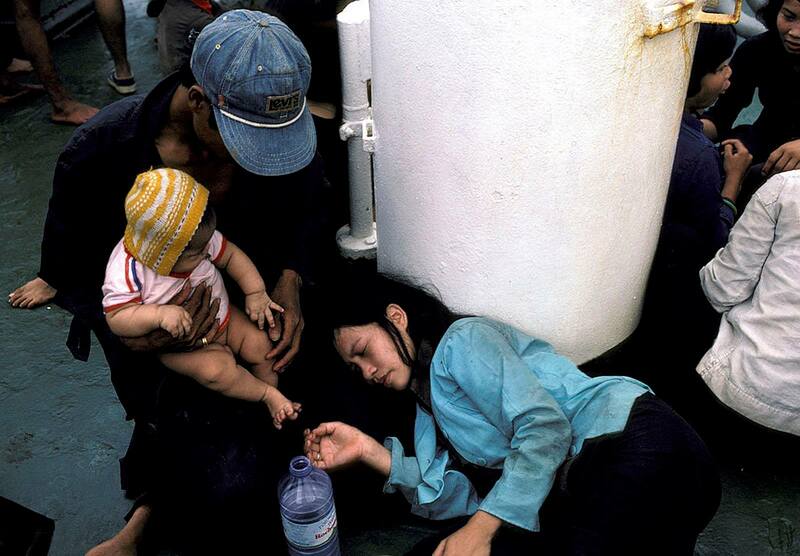 Several tens of thousands were repatriated to Vietnam, either voluntarily or involuntarily. 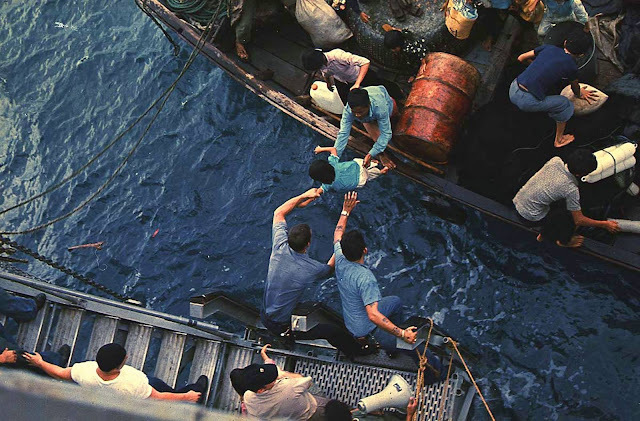 Programs and facilities to carry out resettlement included the Orderly Departure Program, the Philippine Refugee Processing Center, and the Comprehensive Plan of Action. 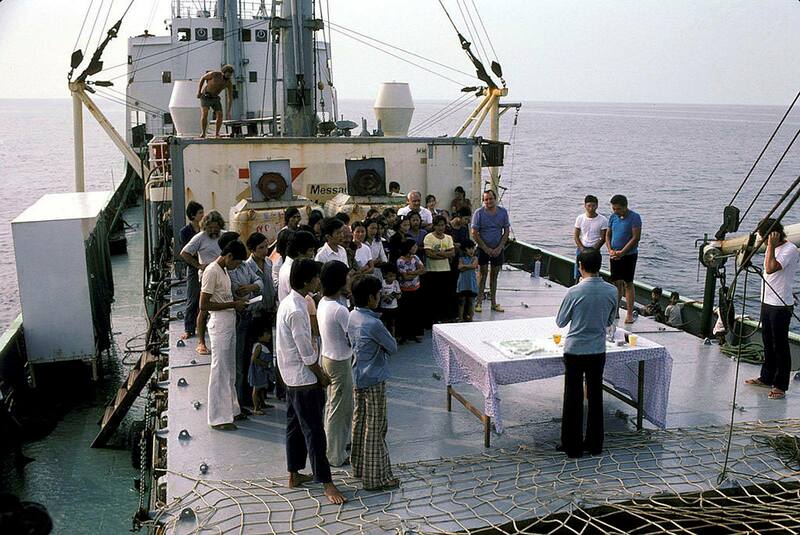 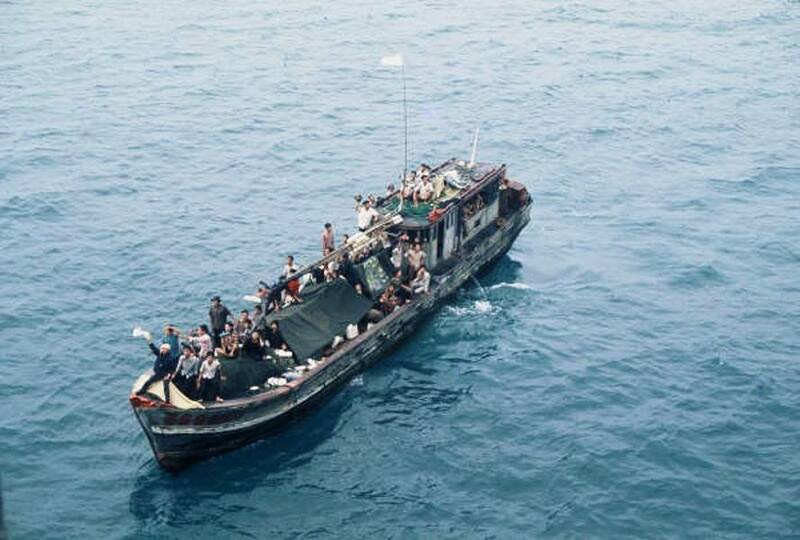 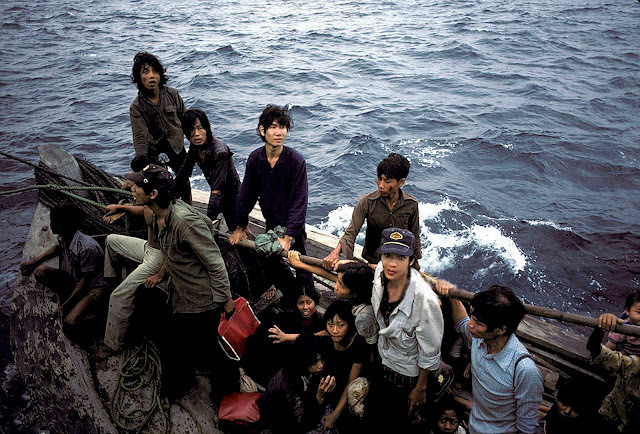 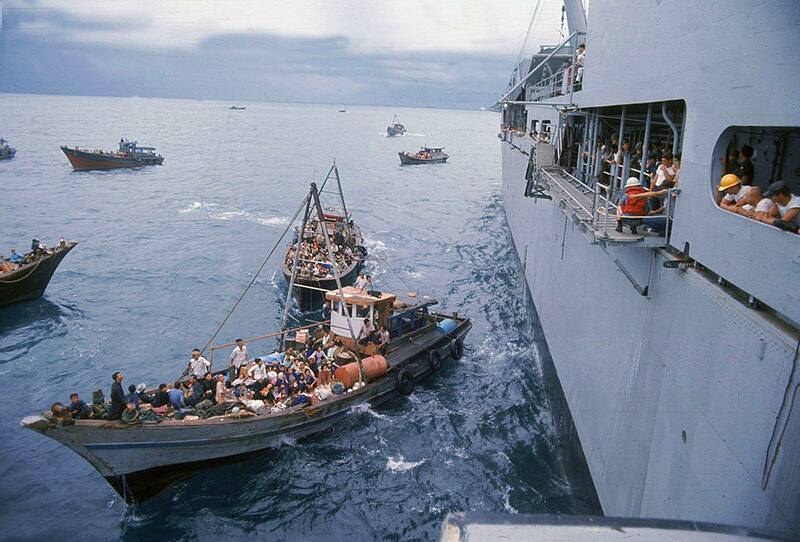 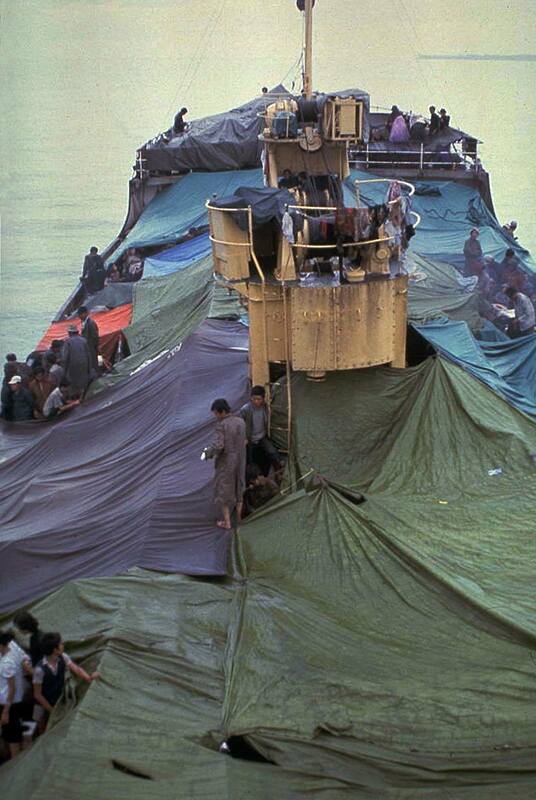 South Vietnamese refugees approach a U.S. war ship to seek refuge from the invading force from the North April 1975 in the South China Sea near Saigon. 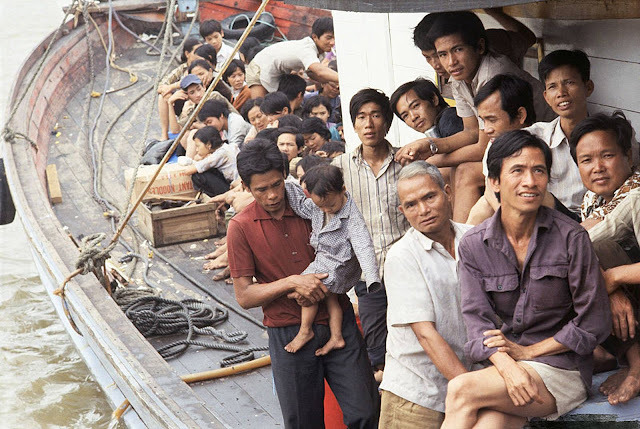 American involvement in the Vietnam War came to an end when troops from communist North Vietnam invaded Saigon, the capital of the Republic of Vietnam in the South.